Reserve your spot on a THUNDERFISH Wreck Diving or Monster Fishing Expedition, or test your courage in the new Shark Cage. If diving and videotaping underwater ship wrecks or sport fishing is what you seek, THUNDERFISH is ready to accomodate you. Captain Bill Palmer is one of New England's leading authorities on underwater wrecks, and has videotaped dozens of submarines, u-boats, and sunken vessels that have been lost in East Coast waters. Please take the time to explore the Thunderfish Web Site, as you will be treated to some excellent photographs of recent fishing and diving expeditions. 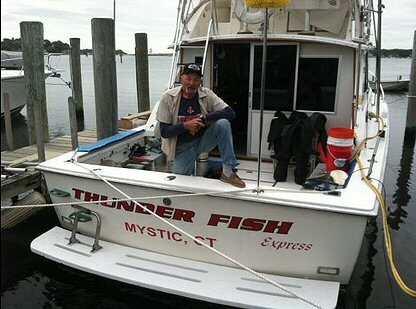 For those seeking historical or educational material on shipwrecks, diving, and fishing along the east coast, please visit the Thunderfish Videos page, or contact Captain Palmer himself for answers to some of your questions. "Wreck Diving Magazine reviews The Last Battle of the Atlantic"
The Last Battle of the Atlantic is the definitive book on the U853. To view the entire review click here. 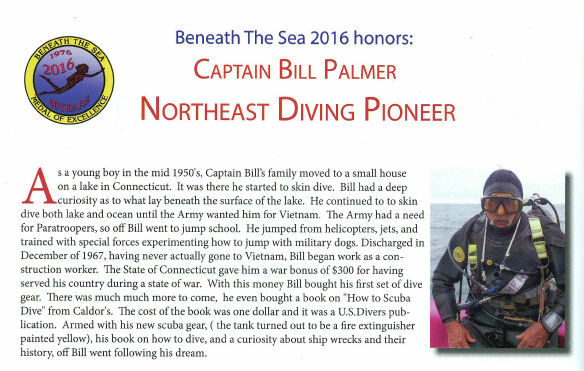 "Captain Bill Palmer - Northeast Diving Pioneer"
Captain Bill Palmer honored at Beneath the Sea 2016 as Northeast Diving Pioneer. 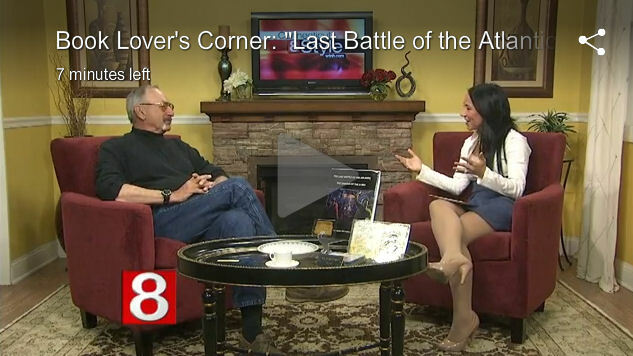 "Last Battle of the Atlantic"
Captain Bill Palmer discusses the U-853 with Teresa Dufour on Connecticut Style. To view the entire show click here. 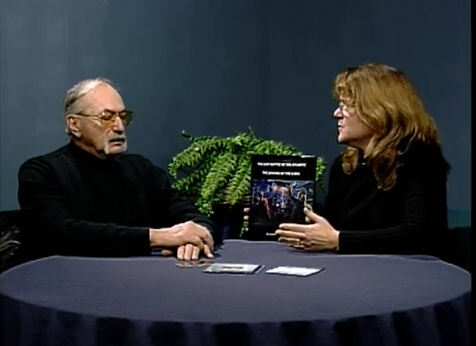 Captain Bill Palmer discusses shipwreck diving with Lisa Saunders. 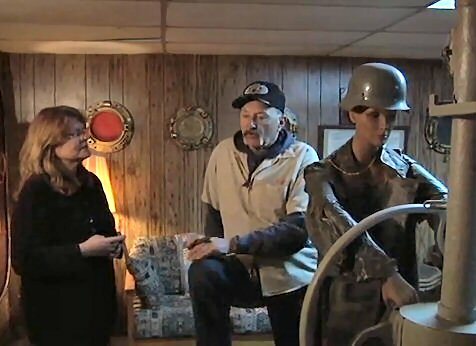 Lisa Saunders discusses shipwreck artifacts with Captain Bill Palmer. 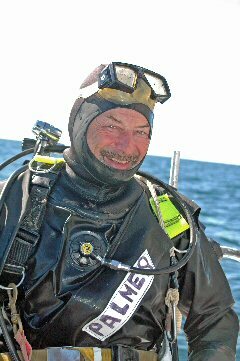 Captain Bill Palmer is one of the most accomplished and respected wreck divers in the entire Northeast Atlantic, and certainly one of the most noteworthy of his generation. Chances are he would deny it and could list others more qualified, but that’s how Bill Palmer is. "The Last Battle of the Atlantic"
Out in the cold Atlantic Ocean off the coast of Rhode Island, lies the remains of what was once a feared and mighty hunter. Its's not a fish or shark, for that matter its not even a marine creature. It's what men feared the most when they went to sea aboard their vessel back in the World War II years. It's a German Submarine called a U-Boat. The U-853 was the last German submarine sunk in World War II. She was sunk with all hands just minutes before World War II ended. 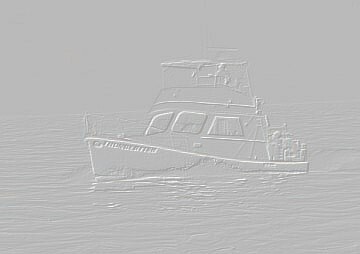 The once mighty hunter feared by all who put to sea, now lies in 130 feet of water off the coast of Block Island, Rhode Island, her grave marked only by a circle on the nautical charts, DANGER Unexploded Depth Charges, May 1945. 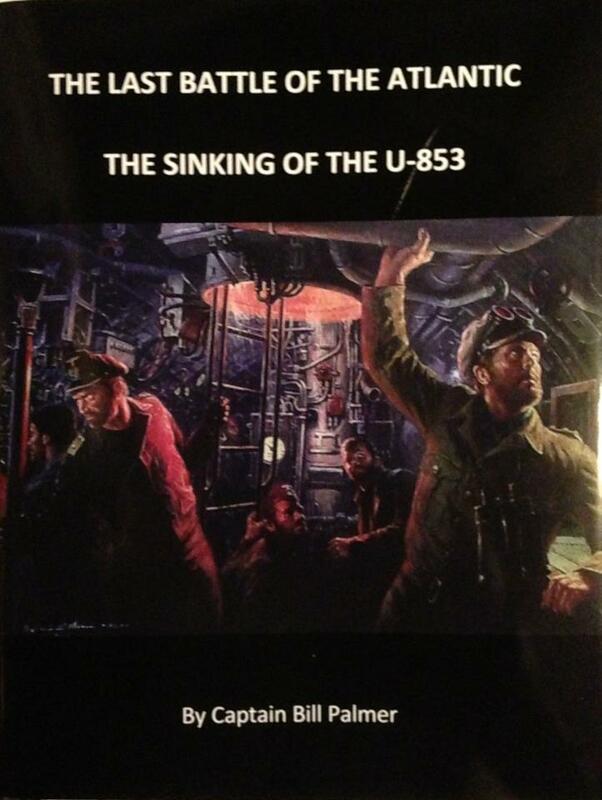 To read an excerpt from The Sinking of the U-853 click here. 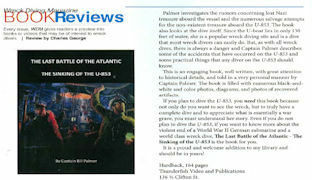 To get your copy of The Sinking of the U-853, contact Captain Bill Palmer by email or telephone. Last updated on Monday, August 22, 2016 15:26:15.